Val Stefani and Moonlight Bridal recently debuted their stunning Spring 2015 collections. This designing sister duo work together from start to finish on each gown, all the while sharing and implementing every creative idea to bring the fierce feminine aesthetic that is the inspiration behind the collection to life. This season, eye-catching elements by way of color and crystal embellishments are at hand in each collection while staples such as intricate beading, lace details and classic silhouettes offer brides the consistency, taste and quality associated with Val Stefani and Moonlight Bridal. 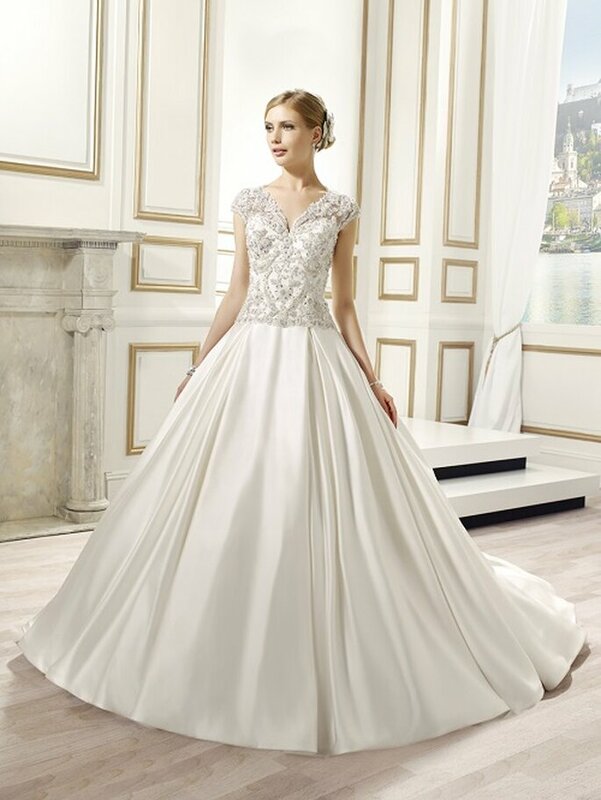 Beautiful bridal gowns for a radiant spring bride!